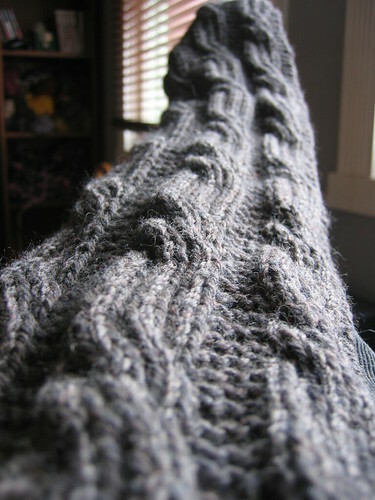 I really need to set aside everything and concentrate on my Christmas knitting before it's too late. Usually Christmas Eve hits, and it's almost midnight, and I'm still knitting! Wow, the Knitters' Aran?! That's a big project! Love that sock. Well, I do agree that the scarf, if you're gifting, should be a long as the person is tall, with the proviso that you should find out how long they like to wear a scarf. I'm 5'4", so technically a scarf should be 64 inches, but I prefer a scarf to be 54-56". I don't double wrap scarves around my neck, so this is my perfect length. I also just made a scarf for my boyfriend's brother and he's about 5'11", but he asked this scarf not be super long, so I stopped at 58". My bf also doesn't like long scarves, so all of that to say, ymmv. oh i think a 54-60" scarf is plenty for most men! it really depends on whether they like to wrap it all around or just cross it over the chest or shoulder. I'm thinking of doing the Great American Aran Afghan. I have the booklets for three of the four "Great" afghans. Then again, I also want to make the fish afghan and a ton of other things. 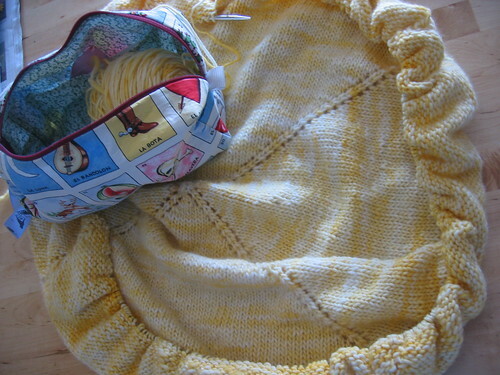 For the ever-growing circular blanket, you could get a second 60" circular and half of the stitches on each circ. But I agree, in general, it's much less fun to knit something that is growing larger than it is to knit something that is getting smaller. Love the handspun BFL sock! Want. I'm also doing handmade for the holidays, but not from Etsy as much as from the local craft fairs and artisans. :) Handmade rules! 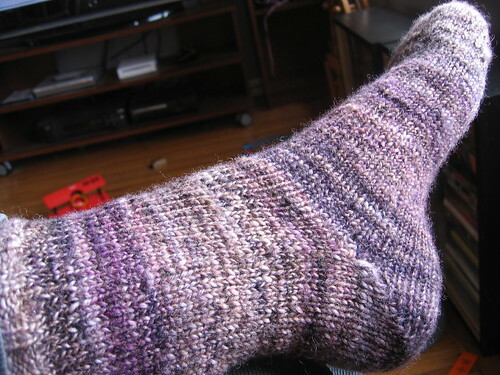 those handspun socks are great - so cozy looking!